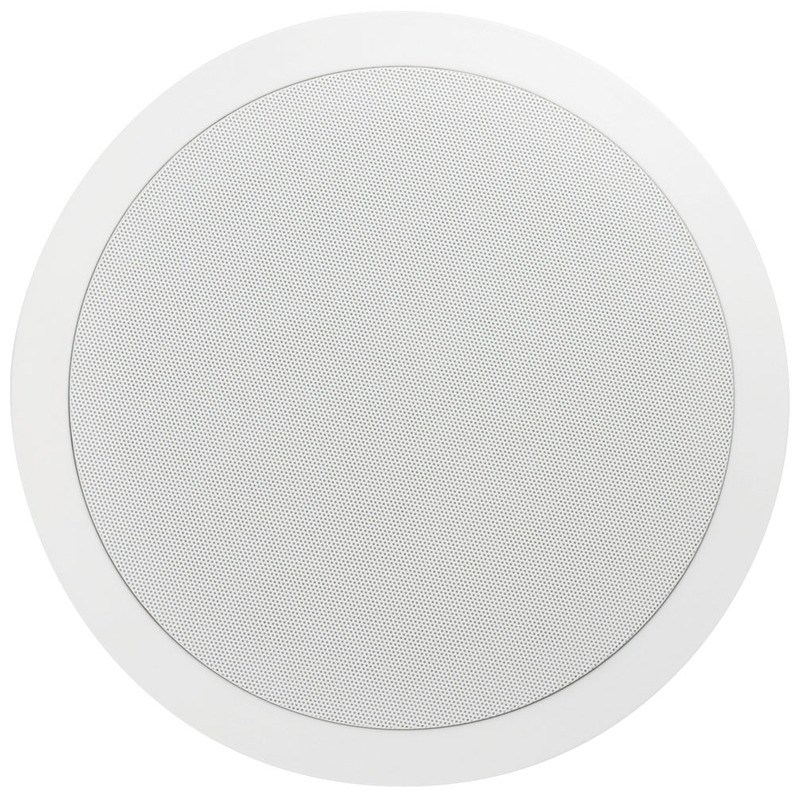 8" 2-Way 80W RMS 8 Ohm In-Ceiling Speaker Pair. The Contractor Theater models offer everything one needs to turn the audio of any mediocre movie room into a complete cinematic experience. 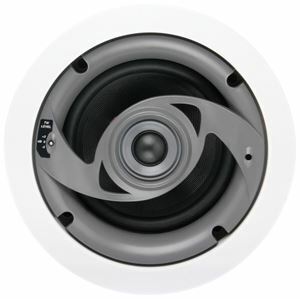 This high power in-ceiling speaker provides excellent coverage. 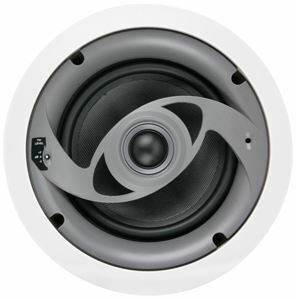 The CT825C is a high performance speaker designed to be used as rear channel speakers in surround sound applications or as speakers in distributed audio systems. The unit features an 8" woofer and 1" soft dome tweeter design. 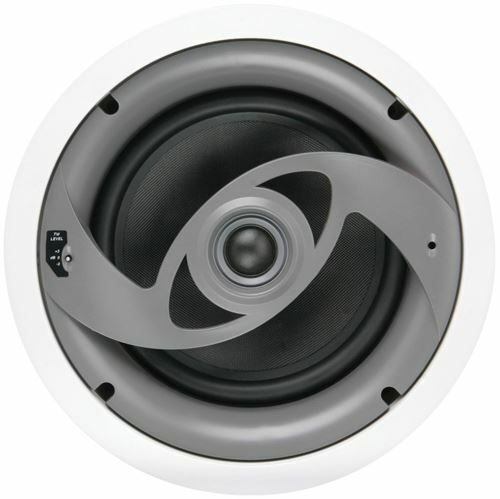 The woofer is constructed using lightweight glass fiber cones that are highly efficient and are capable of producing a wide range of sound that sounds great in both movie or music applications. A front mounted tweeter adjustment enables you to adjust the tweeter level by +3 or -3 dB allowing you to decide what sounds best for you. The CT825C is engineered using proprietary MTX technology allowing for more imaging control and overall better performance. 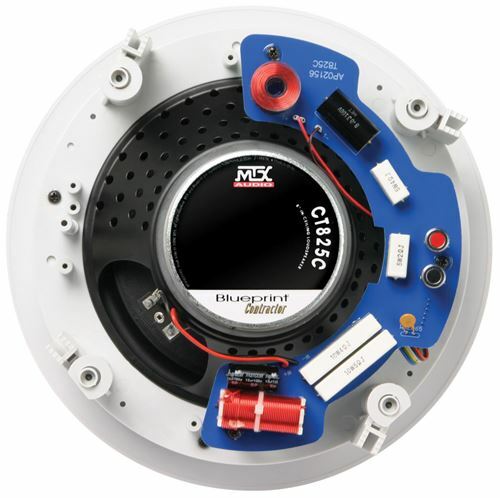 The CT825C is capable of handling 80W RMS power at 8 ohms so it works perfectly with most of today's AV receivers. The units are easy to install, utilizing a dog leg mounting system that securely attaches the speaker to most dry wall thicknesses. The paintable aluminum grille and included paint shield make it easy to blend these speakers into your home's decor. These units are sold as pairs. Cut Out Diameter 9 9/16"